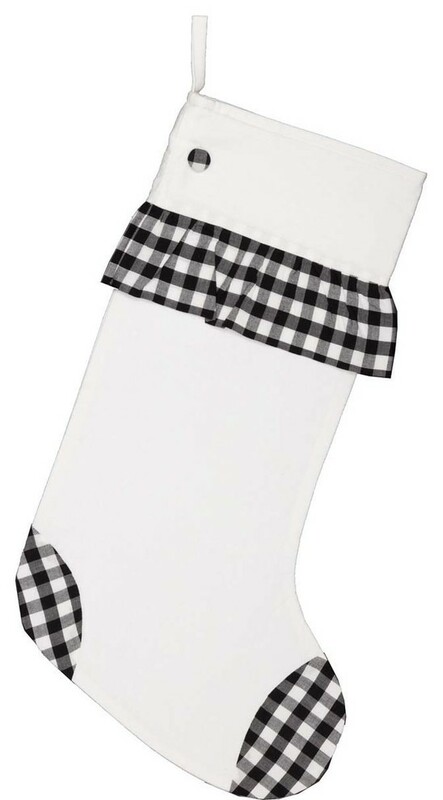 Countrify your Christmas this year with the 12x20 Emmie Black Check Ruffle Stocking. A bright white is paired with farmhouse black checks on the cuff, heel, and top ruffling. A matching button is added to the cuff and helps tie the look together. This perfect mantel decor includes a hanging loop. 100% cotton shell with flannel and taffeta lining.